The following excerpt is taken from Luther’s Annotations on Matthew 1–18. It is of no avail for salvation if you think of Christ according to human opinion—that He is a righteous, holy, good man or prophet, even the greatest one. Rather, the Father’s revelation from heaven must be added: that He is the Christ, the Son of God—that is, that He is true man and true God, and then that He is the promised King and Priest. But because He is at the same time the Son of God, it was impossible for Him to be born in sin like others, who have been conceived from a male. Therefore, He was given birth by a virgin, without a father, of the Holy Spirit. Here stands the verdict: the doctrine of faith is not philosophy, nor is it the wisdom of human reason. Just as reason is unable to discover this [doctrine], so, too, is it unable to retain or judge it. Rather, this is a heavenly doctrine, revealed by God the Father Himself. Now, a candle may cast its light in the night or a little torch in the darkness, that is, when the sun is gone, but when the sun shines with its power, the little torch neither casts light nor shines but is obscured by the majesty of the sun’s light. Even so is faith a far different light which obscures the light of reason and snuffs it out. And so let everyone rejoice who can utter the words Peter says out of the same faith: “You are the Christ, the Son of the living God”—out of a faith, I say, that is unfeigned [cf. 1 Tim. 1:5; 2 Tim. 1:5]. And let such a person know that he possesses the revelation of the Father from heaven and that he is truly a Christian, blessed and saved from sin, death, and hell. What more do you want? 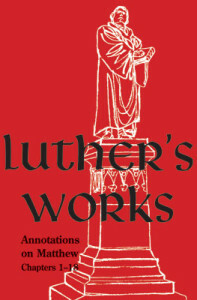 Amended from Luther’s Works Volume 67, pages 272–73. 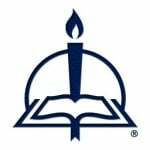 © 2015 Concordia Publishing House. All rights reserved.